Changeworks is an environmental charity and social enterprise, providing practical ways for people and organisations to live and work more sustainably. Can you contribute to Changeworks’ vision of a world where everyone is able to live, work and enjoy life with a low carbon impact? We are looking for two new Board members to join Changeworks’ Board of Directors at an exciting time in our growth. This is an exciting opportunity to gain unique insight and experience of an active Board and to contribute to a dynamic organisation which sees climate change as the most significant threat to the environment and our way of life. · Perform to the highest personal standards in line with the Board’s expectations and acting in the interests of Changeworks. To increase the collective skills and experience of our Board, we are keen to hear from people who have knowledge and experience of: policy making, energy systems, volunteering and finance. We welcome applications from all people and recognise greater diversity will strengthen our Board. We are particularly keen to receive applications from young adults and women. 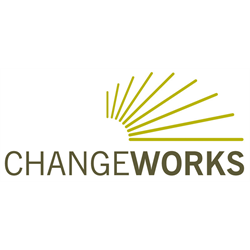 Changeworks have an exciting opportunity for an enthusiastic and driven Project Officer to lead the delivery of an area based energy efficiency project in Edinburgh Old Town. You will be working with partners and stakeholders to encourage householders and businesses to install energy efficient measures and adopt low carbon behaviours. The project will have a focus on historic buildings, engaging with private sector landlords and businesses. You’ll be a confident self-starter who has experience of working with a variety of partners. Being a confident communicator who can proactively adapt your approach to the audience is a must. You will have an excellent understanding of the importance of high quality customer service and be motivated to convert interest into action. We offer an attractive staff benefits package, excellent pension and employee benefits which include 26 days paid holiday plus 9 bank holidays per year.